With the holiday weekend approaching I thought it would be fun to head out of town and I found a three day adventure on www.zirkeltheworld.com to Cape Cod, MA. We spent three nights at The Lighthouse Inn (www.lighthousinn.com) in West Dennis, MA and from that particular location we either drove or took the ferry to then visit Provincetown, Martha’s Vineyard and Nantucket. 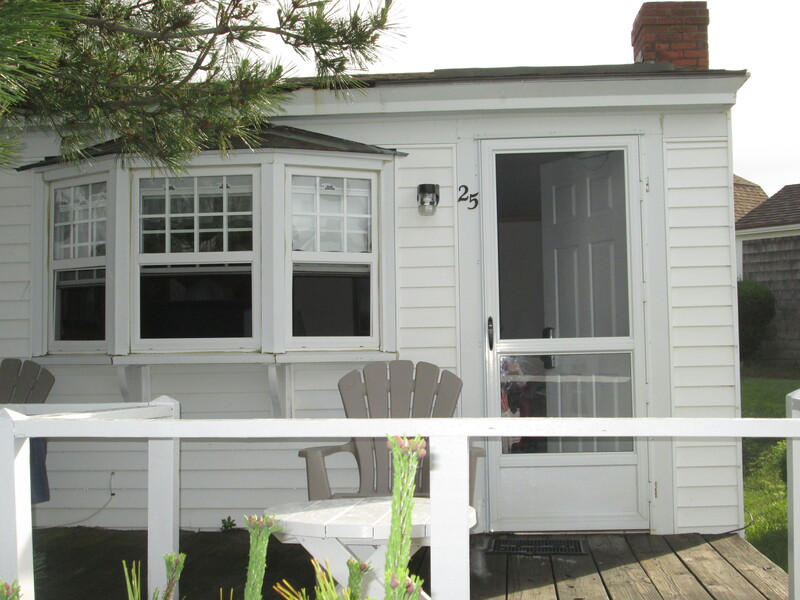 So we arrived at The Lighthouse Inn late Thursday night and here is a photo taken the next morning of the main house of the hotel and beneath that photo was what the typical available cottage looked like. 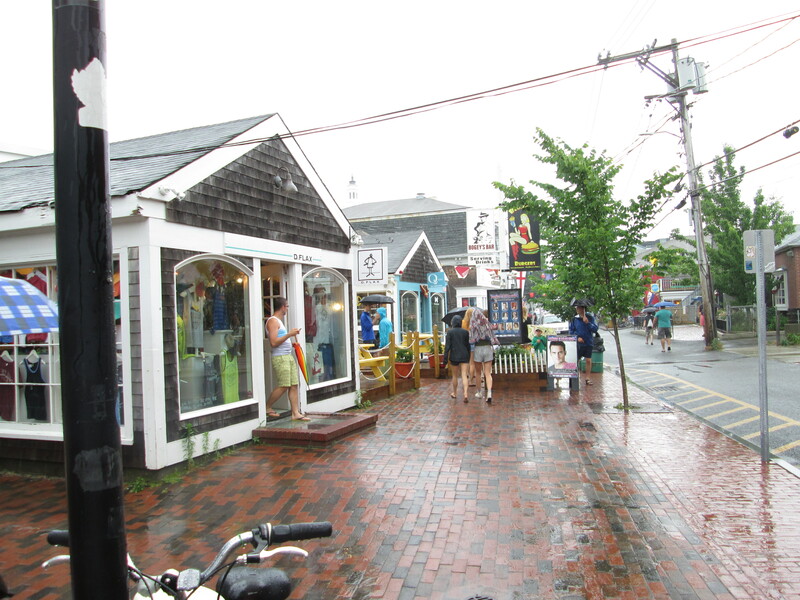 Unfortunately, the next morning all of the ferries to Martha’s Vineyard were cancelled because of the very bad hurricane warnings and so we would up driving to Provincetown and are we lucky that we did because it was ABSOLUTELY TORRENTIAL ON THE WAY TO PROVINCETOWN! So that I basically spent Friday in “torrents” and was in almost every store in townSoLOL and then ended up at dinner at The Lobster Pot having the best key lime pie ever!!! 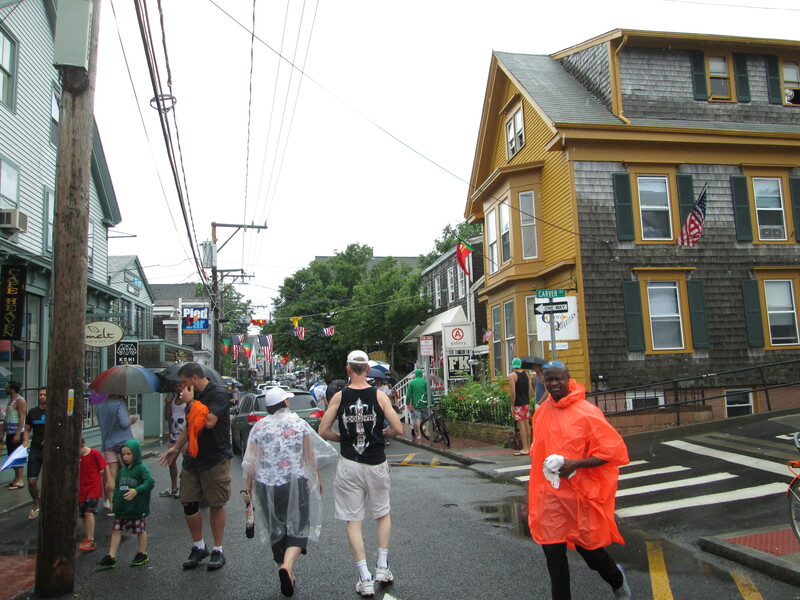 Here are some photos of soggy Provincetown,LOL! The next morning was great and we headed out early to take the ferry as seen below to Martha’s Vineyard. 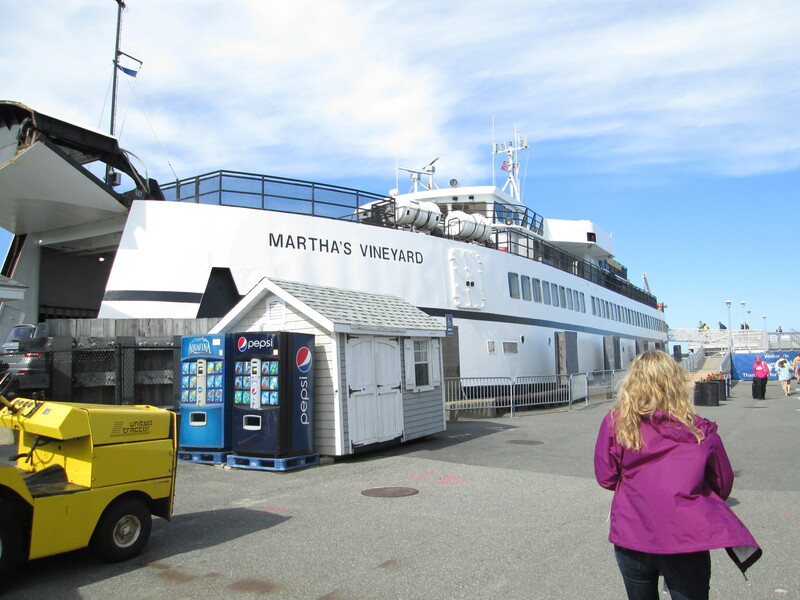 Then once on Martha’s Vineyard I purchased a ticket for a two and a half hour island tour. 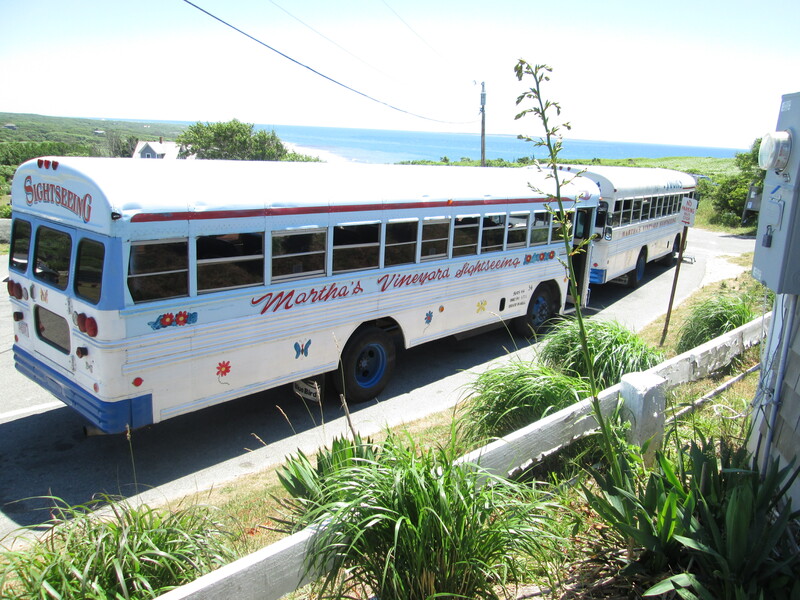 Below is a photo of our cute island tour bus! The tour was really great. 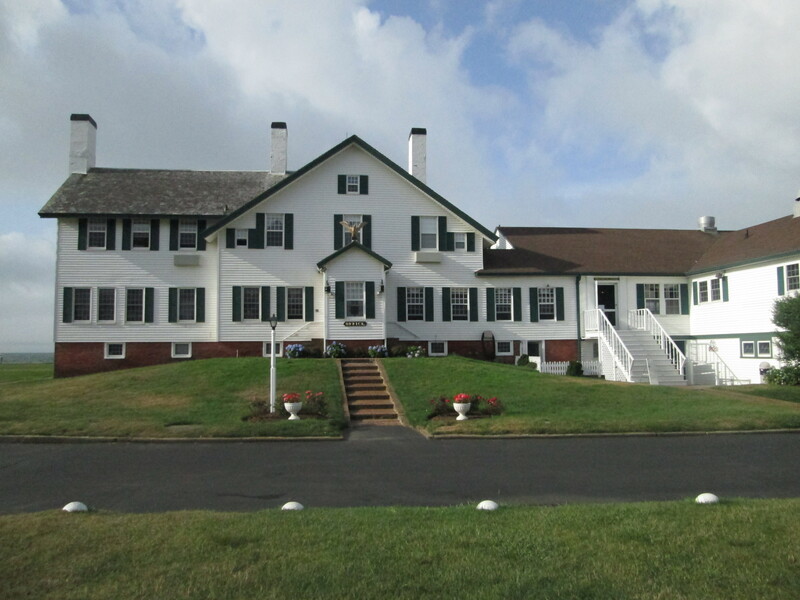 We traveled from Oak Bluffs to Edgartown to Aquinnah to Chilmark and then back to Oaks Bluff. We learn about the original Indian settlers, the history of whaling in the area, saw the 400 acres owned by Caroline Kennedy, saw the area where John F. Kennedy Jr’s plane crashed and found out about all the famous celebrities who either owned land and/or home there such as Lady Gaga, Michael J. Fox as well as David Letterman. When I got back to town I sent to see The Gingerbread Houses which originated as part of a Methodist community in about 1835. The Methodists came to this area called Oak Bluffs and lived there and today the group that is responsible for this “original” campground is Martha’s Vineyard Camp Meeting Association. 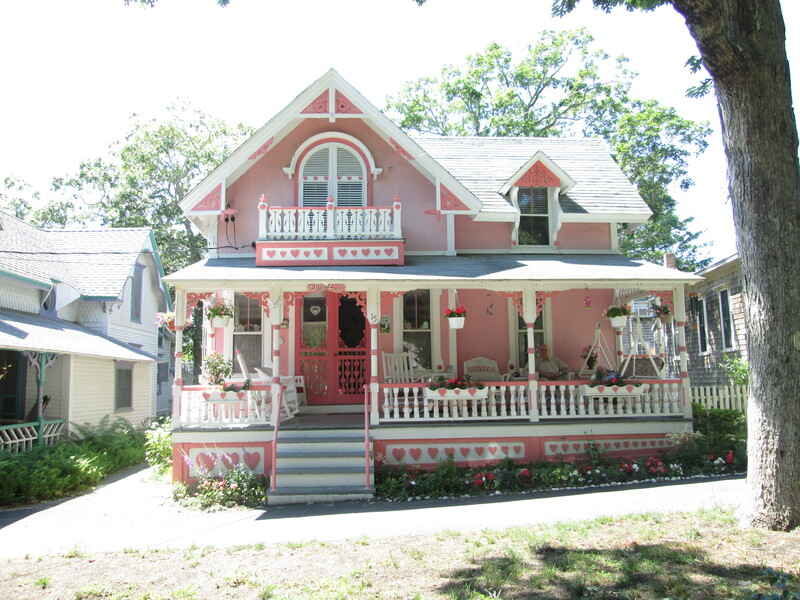 Below you’ll see a typical type of Gingerbread house. 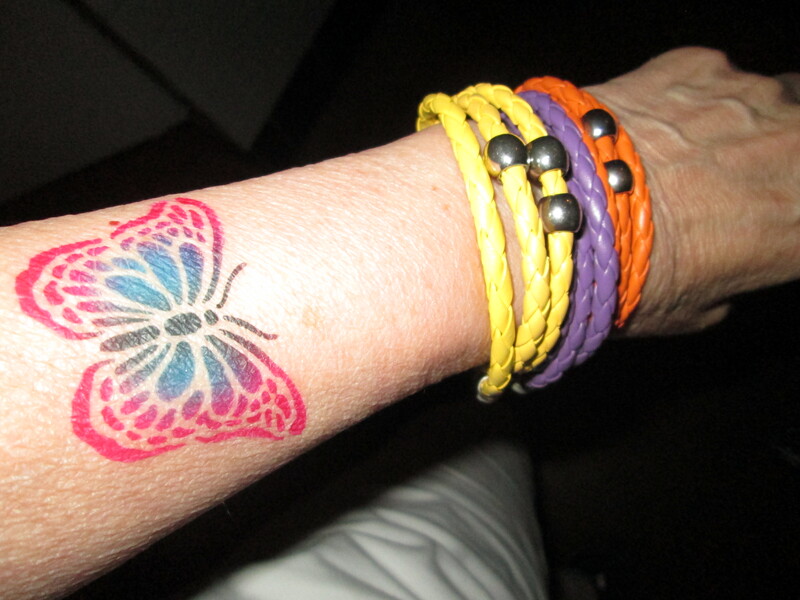 Then after shopping the different fun shops I found The Chowder Company where the group was to meet up at 6:00 to eat dinner and LOL right next to the restaurant was a shop that offered air brush design tattoos. Well, I decided having never done that before to give it a shot, picked a butterfly stencil, hoped for the best and below is the result. Yeah! So this was my brave act of the day and I’m glad I did it!!! Then it was dinner at The Chowder Company and then the ferry back to The Inn. Then the next and final day of our tour we took the ferry to Nantucket. When I got to the town, I really knew that this was the place for me! 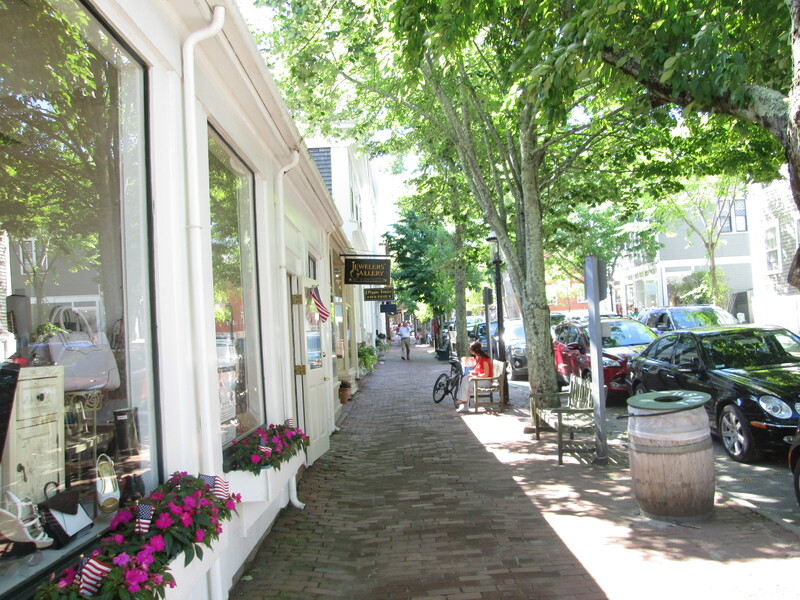 I’m not even sure why but for those of you who know The Hamptons, Martha’s Vineyard is more like Quogue or West Hampton and Nantucket is more like East Hampton. Jut a feeling that’s really hard to explain. So here are some photos taken on Main Street. So once in the center of town I went to The Whaling Museum and signed up for an historical walking tour. 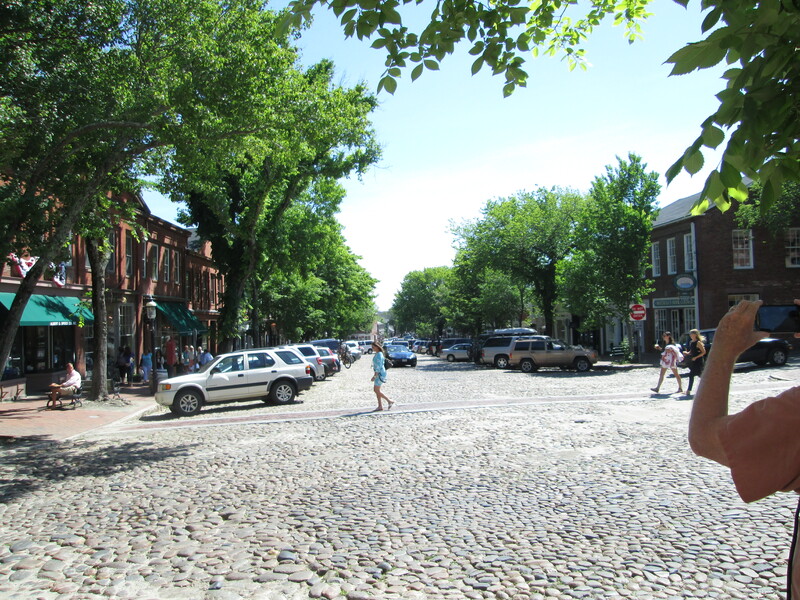 It was really great to learn the history of the town and we ended the tour in a Quaker Meeting House built in 1835 when the Quakers came to Nantucket and I found visiting The Quaker’s Meeting Hall to be a very interesting and spiritual experience for me so I’m glad that I decided to take the tour! Then ice-cream time and back to the ferry to get back to the van to head back to the city. 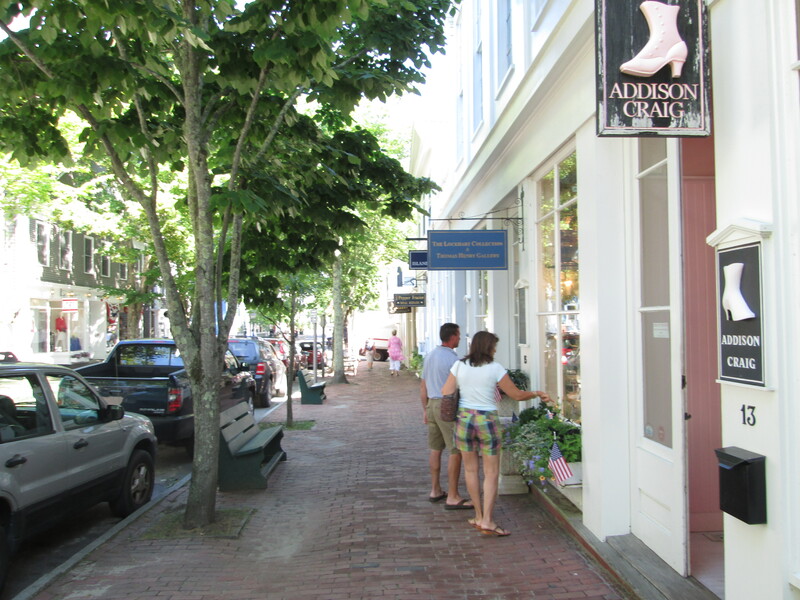 And so I totally recommend going to The Cape for any length of time. It’s pure New England magic and in spite of Friday’s rain, it was a great weekend!